Exclusive: America’s Founders were not marble statues, but rather real people facing tough challenges. To make ends meet, the esteemed Abigail Adams dabbled in black-market goods, and that kind of tough-minded pragmatism not starry-eyed idealism imbued the Constitution and guided the early nation, Robert Parry writes. Perhaps it was inevitable that the American Right with its bottomless pot of money would pour some of it into the pockets of clever propagandists who would rewrite the nation’s founding narrative and transform the Constitution’s Framers into anti-government zealots. After all, the founding narrative has a powerful appeal to many Americans as the Bible does to Christians and can be selectively cited by unscrupulous politicians to justify pretty much whatever they want. The Right also has invested in a giant megaphone that can amplify messages so loudly that lies and myths become history and truth. 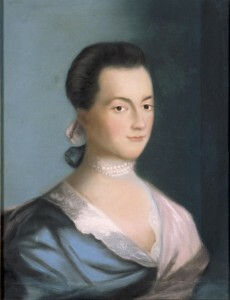 Abigail Adams, wife of President John Adams and an early advocate for women's rights, in a portrait by Benjamin Blythe. The actual Tea Party and the “Don’t Tread on Me” flags, which were both directed at the British imperialists in support of American independence, are today repackaged as attacks on the U.S. government, the same institution that the Founders created so they could start building a strong and independent nation. Up has become down. The real historic counterpoints to the anti-British Tea Party and “Don’t Tread on Me” flags were the “Join, or Die” banner demanding American unity and the Constitutional Convention in 1787, which repudiated the states-rights-dominated Articles of Confederation in favor of a vibrant central government in the U.S. Constitution. But that isn’t history that helps the Right’s propagandists because it reveals the key Founders to be dedicated to a constructive national unity seeking pragmatic solutions to the country’s problems, not to free-market extremism at any cost. So, the Right continues to shape-shift the Framers of the Constitution (and more broadly the nation’s Founders) into ideologues who despised government and cared only about individual liberty. But the actual history reveals them to be pragmatic individuals who viewed government as a crucial force for organizing the new society and building a strong nation. Yes, the Founders cared about liberty (at least for white men) but most of them viewed a constitutional government as a means for restraining the excesses of democracy, then a fairly untested system of governing. That explains the Constitution’s intricate system of checks and balances and the six-year terms for senators, originally appointed by state legislatures. To the Constitution’s architects, government also was the means to focus the nation’s resources on building a nation to withstand the economic and political challenges from the far more powerful European states. These Founders saw the disorder from the Articles of Confederation as a threat to the hard-won independence. In other words, if there was a dominant “originalist” notion of how the nation’s governance should work, it was pragmatism; it was pulling together to get done what needed to be done. The key Founders were not wedded to some fixed economic ideology or some extreme vision of liberty. These were real people with real problems. As the Revolution dragged on, many of its leading figures faced not only physical danger but financial ruin. They looked for ways to make ends meet even if they had to cut ethical corners. For example, one of the couples most widely revered for their contributions to the Revolution, John and Abigail Adams, resorted to a black-market scheme to raise enough money to avoid losing their home and property in Massachusetts. Many of Abigail Adams’s famous letters to her husband, as he served the revolutionary cause in Philadelphia and Europe, amounted to requisitions of supplies that could be sent back to Boston, along with his official correspondence, via the fastest and safest means of American transportation. In retrospect, none of this should reflect badly on John and Abigail Adams, who sacrificed greatly for the revolutionary cause. They were simply doing what they had to do to make it through dangerous and difficult times. Similarly, General George Washington had a mix of personal and patriotic reasons for hating the Articles of Confederation, which had allowed the 13 “independent” states to renege on their financial commitments to the Continental Army and, after the war, had undermined economic reconstruction. Washington, like other Founders, had invested in undeveloped land to the west and thus recognized the necessity to build canals and roads for reaching this territory and making it more valuable. In 1785, Washington established the Potowmack Company, which began digging canals to extend navigable waterways westward along the Potomac River. But these efforts were hampered by the national disorganization under the Articles of Confederation. So, in 1787, Washington and Madison engineered the most significant shift of governing power from the states to the central government in American history. 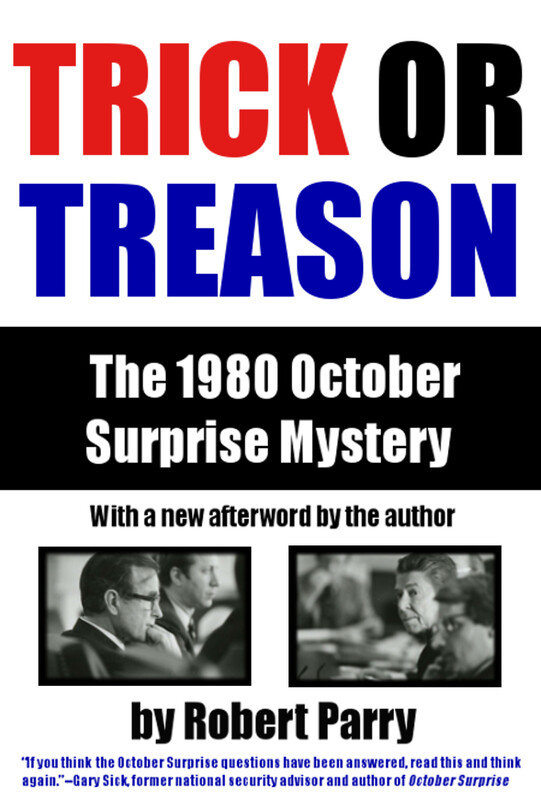 In secret meetings in Philadelphia, a convention, which had been assigned the limited task of proposing amendments to the Articles, instead scrapped that states-rights structure and drafted the U.S. Constitution. The Constitution eliminated key wording of the Articles, which had granted the states “sovereignty” and “independence.” Instead, the federal government was given legal supremacy. Madison even wanted to give Congress the authority to veto any state law, though a compromise was struck, giving that power ultimately to the federal courts. In one of its most important decisions, the Constitutional Convention approved Madison’s plan to give Congress an unlimited power to regulate interstate commerce. Madison touted this Commerce Clause as a way to promote the construction of roads and canals and to take other steps to strengthen the American economy. Famously, the Constitutional Convention reached other compromises that revealed the uglier side of the founding pragmatism. To avert a splintering of the young country, the Framers accepted the continuation of slavery, which was a major industry in the agricultural South and which touched on the personal wealth of key figures, including slave owners Washington and Madison. Still, there is much to admire about the Founders and their courage battling for independence against a tyrannical monarchy. Nothing in history or today is a case of black hats versus white hats. Usually it’s gray hats or at least mud-splattered hats. America’s founding narrative also can be a powerful force in modern American politics and mostly for the good. It can be applied honestly with the nation’s finest of First Principles providing inspiration and guidance to the present. But the narrative also can be twisted dishonestly to promote destructive or self-serving ends. That is where the nation finds itself now, as the Right has distorted the founding narrative and sold the false version to millions of gullible Americans, who think they are standing with the Founders in opposing practical solutions to the nation’s problems. Most likely, Founders like Washington and Madison would be shocked by the ideological extremism that has been superimposed on their practical attempts to find a way forward for the nation and to make it more competitive in the world. It is way past time for honest historians to get off the sidelines and join this battle for a truthful recounting of the nation’s early years. The American people are in desperate need of some lessons from the pragmatic Founders. Forgive me, but I dare say someone who writes the same misleading article about the”pragmatic” Founders over and over again should not complain when people argue to the contrary, “over and over again.” The arguments in support of Mr. Parry’s view are nonsense. The “general welfare” and “necessary and proper” clauses refer to the enumerated powers–otherwise there would be no point in enumerating any powers. Article I would simply say, “Congress shall have power to do whatever is necessary and proper (as determined by Congress) to promote the general welfare.” And if the power granted to the federal government were understood to be without limit, then the Tenth Amendment’s reservation to the States or the people those “powers not delegated to the United States by the Constitution” would be meaningless, wouldn’t it? Are you folks suggesting those “pragmatic” Founders deliberately proposed a meaningless amendment, perhaps as a sop to the “rightwingers” of their day? 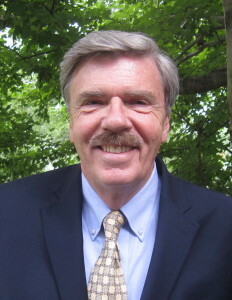 Mr. Parry, who often writes persuasively about abuses of government power, implies each time he turns to the subject Founders and the Constitution that only a government with unlimited power can be a “vibrant central government.” He argues for unlimited government in order to defend the Obama health care legislation, then dismisses opposing opinions as “political, political political.” In so doing, he displays his own considerable penchant for the kind of “sophistry” he denounces. In one passing phrase “Washington, like other Founders, had invested in undeveloped land to the west…” Mr. Parry unconsciously reveals the real purpose of the Constitution and of the Revolution itself: the lands to the west were not in the least undeveloped, they were home to multiple Indian nations who used them for their highest and ecologically proper purposes: hunting and village agriculture. The Revolution against Britain was motivated openly in the Declaration as needed to remove the prohibition against settlement west of the Alleghanies, and a strong central government, capable of waging genocidal war against the indigenous peoples, was needed once the Revolution had been won. Conquest and genocide were the aims–everything else was rhetoric. If Mr. Parry’s argument were a bridge, he would be at least “Neck Deep” in the water. It falls well short of showing that because they Founders gave the new federal government more powers than were ceded under the Articles of Confederation, they therefore gave it “unlimited power” to regulate commerce. And he has not begun to show that the Founders considered a decision NOT to purchase something an act of “commerce,”as the administration claims in defense of the Patient Protection and Affordable Care Act. Yes, you can find a couple of 20th and 21st Century Supreme Court decisions approaching that level of sophistry, but I have yet to see any statement by the Founders embracing it. “The powers delegated by the proposed Constitution to the federal government are few and defined. Those that are to remain in the State governments are numerous and indefinite.” (Federalist No. 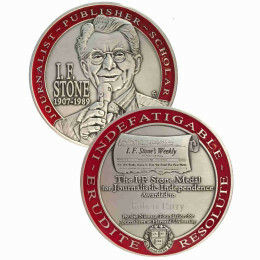 45) If Mr. Parry has discovered an 18th century dictionary that defines “few and defined” as “implied and unlimited,” perhaps he will share with us the news of that discovery. Jack Kenny cites Madison in Federalist 45 and the Ten Amendment as evidence of limited federal power, thus rebutting Mr. Parry’s more comprehensive view of such power. Although it seems scholarly to cite the Federalist Papers as an authoritative source of Constitutional interpretation, readers should be reminded that these papers were written by lawyers who had a political purpose in mind, namely to push for the ratification of the Constitution, which was so highly controversial at the time of its introduction that 30% of the men who framed it declined to affix their signatures on the document. To cite the Federalist Papers as an authority on Constitutional interpretation is akin to citing the prosecution’s closing argument as authority on the guilt of the accused. The federal courts are the only authoritative source of constitutional interpretation. Citing the Tenth Amendment, as Mr. Kenny also does, is no more helpful. The first and last clauses of Article I, Section 8 (like it or not) give Congress almost total power to pass any law it cares to pass. The first clause gives Congress power to “provide for the general welfare,” while the famous last clause (the Elastic Clause) gives Congress power to “make all laws necessary and proper” in order to do so. It was chiefly in disagreement with these clauses that the anti-Constitution forces arose, neccesitating the defensive Federalist Papers’ response. Superficially, the Tenth seems to mean â€œsince certain powers are not delegated to the federal government, then those powers are reserved to the states or the people.â€ This would seem to be good news for champions of limited government. Unfortunately, this is not really the case. The Tenth ignores the fact that massive powers had already been delegated to the United States. Practically unlimited power had already been delegated by Article I, Section 8,years before the Tenth was ratified. Thus, the Tenth Amendment was functionally moot even as it was written in 1791 â€“ and it remains as moot today. After having already delegated the specific power â€œto make all laws necessary and properâ€ in order to â€œprovide for the general welfare,â€ what protections are to be expected by a Johnny-come-lately amendment that closes the pasture gate after the horses have been let out? Combined with the commerce clause, these powers make a solid case for nearly omnipotent potential federal power. This was not lost on the educated public as the Constitutional ratification debates raged during 1787-88. We must realize that the Federalist Papers carried only one channel of the stereo argument, and that — closely read — the Tenth is practically meaningless. Mr. Kenny may well object to Mr. Parry’s point of view, but Federalist 45 and the Tenth Amendment will not carry his point. I fail to understand why you have to be snotty and sarcastic in your response to Mr. Parry’s article. His argument is informed, sturdy, and based in fact. Just as in the law and religion, the spirit of the Constitution is as important as the letter. People who want to justify some ideology or self-serving bias always prefer a literal argument because it’s always easier to make a simple case, such as “the separation of church and state is not (literally) mentioned in the Constitution,so a Theocracy is not forbidden”. The argument that the Constitution doesn’t mention the “right to not buy something” forbids the government to require the purchase of insurance is only deployed for the purpose of defeating the PPACA bill as a way to embarrass It seems depraved to me that anyone would seek to subvert the Constitution for the purpose of destroying a President. So, the right-wingers are back to the twisting of Madison’s words in “Federalist No. 45” and the distortion of the Tenth Amendment. I’ve dealt with this sophistry in previous articles, including ones linked to in the above article. I was hoping I didn’t have to repeat these explanations in every article, but it does appear that right-wing ideologues are determined to continue sowing confusion and misinformation about what the Framers did in terms of eliminating the states’ rights orientation of the Articles of Confederation and creating a vibrant central government under the Constitution. The Right continues to insist that there is some invisible “limiting principle” somewhere in the Commerce Clause although any plain reading of the Constitution shows that there are no such words. This is not just my opinion. It is what conservative Appeals Court Judge Laurence Silberman noted in his opinion upholding the constitutionality of the Affordable Care Act. It is the point made by Reagan’s Solicitor General Charles Fried who dismisses the Right’s argument in this case as “politics, politics, politics.” But it is politics that gets repeated, again and again.